Treat Mom This Mother’s Day! Mother’s Day Brunch / May 13 / 11am – 2pm / Enjoy breakfast and brunch items, dessert and drinks at the Cafe Cave at Oak Mountain Winery / Cost: $53, Members $48, Children 10 & under $20 / For reservations and to view full menu items, please call 951.699.9102 or online www.oakmountainwinery.com. Posted in Events | Comments Off on Treat Mom This Mother’s Day! Check out the fabulous events and exciting activities happening at our Temecula Valley wineries throughout May! Don’t miss Cinco de Mayo festivities, a fashion show luncheon, spa specials, winemaker tours, tons of live concerts and the best wine country brunches for Mother’s Day. Sunday, May 12, 11:00am Seating/1:00am Seating. Includes champagne, soft drinks, coffee, or tea. $54.95 per person plus tax and gratuity | $19.95 Children 12 and under, children 5 and under free. Reservations necessary, credit card for reservation: 951- 676-9243. New! Saturday Knight’s at Carol’s begins Saturday, May 4. Live local musicians will be featured every Saturday night along with a new, more casual dinner menu featuring flatbread pizzas, burgers, pasta dishes, and appetizers. Hours: 5p to 8:30p on the vineyard patio or in the European inspired Bacchus Hall. Local wines and micro-brewed beers as well as wine cocktails will be offered, plus two local beers on tap. Reservations recommended, dancing shoes optional. For more info, please contact Carol’s Restaurant at Baily Winery: 951-676-9243. Includes live music by Mark Renk/ $55 per person plus tax and gratuity, Wine Club Members / $65 per person plus tax and gratuity, Non-Members/$25 per person plus tax and gratuity, children 3-12. Wine tasting for two, two sandwiches or salads or a large meat and cheese platter for just $24! Sunday, May 12; 11am-4:30pm. 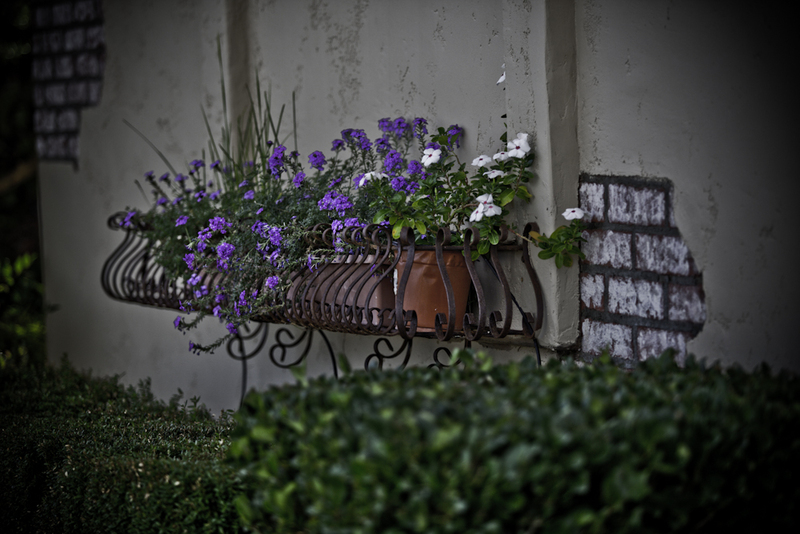 Join Meritage at Callaway this Mother’s Day for a relaxing lunch or dinner in beautiful Temecula Wine Country. Live music performed by local favorite, Ryan Dart, will begin at 2pm. Regular dinner menu available afterwards, last reservation at 7 pm. Reservations required by calling 951-587-8889. Sunday, May 5; 12:00p-4:00p. Live music, Mexican food, beer, specialty wine drinks and wine tasting. Please call 951.491.0825 for more information. Sunday, May 12. Complimentary cupcakes for all of the ladies coming for wine tasting. Call 951-676-6989 for more details. at 1:00p; $58 per person, plus service charge and sales tax. $25 per person, plus service charge and sales tax for children 11 and under. Wine club members are $52.50 per person, plus service charge and sales tax and $22.50 per person, plus service charge and sales tax for children 11 and under. Includes a gourmet three-course lunch, Sangria, and entertainment. Saturday, May 4, 10:30am-12:30p. $50/person plus tax; $40/person plus tax for Food & Wine Club members. This tasting session will focus on eight (8) vintages of the Falkner Amante-Super Tuscan. *For those who are not familiar with the term “vertical tasting,” it means tasting multiple vintages of the same wine from the same producer. Sunday, May 12; 10:00a-3:30p. $59.95 per person, plus tax and gratuity | $49.95 per person, plus tax and gratuity for Wine Club members | children 3-10 are $24.50, plus tax and gratuity | $19.95, plus tax and gratuity for Wine Club members. Children under 3 are free. All food will be prepared by their award winning Executive Chef Gianni Ciciliot and his excellent staff. Having been designated “Best Restaurant of the Inland Empire” six years in a row and “Best Chef” for 3 years by readers of Inland Empire magazine, this promises to be a spectacular and memorable event. Champagne will be part of the meal along with other beverage options. Plus live entertainment. Reservations should be made by calling the restaurant at 951-676-8231 ext. 1 or by visiting the website. 10:00a-2:00p; $16.95 per person | $10.95 children 10 & under. Along with your brunch, enjoy a complimentary glass of specialty sparkling wine drinks. Advance reservations are required by calling the winery at 951-699-8845. Every Monday and Friday at 12:00p; Saturdays & Sundays at 10:00a & 1:00p. $29 per person. Includes 2 1/2 hours with a wine specialist in our vineyard, production facility and barrel room with at least 12 wine tastings (including tank & barrel tastings) and food and wine pairing with gourmet cheeses and meats. Reservations required by calling the winery at 951-302-7888. 6:30p-9:30p. Live music by Michael Chain and discount wine by the glass and bottle. Every Wednesday in May; 1:00p-4:00p; $50 per person. Come take an art class in the vineyard, conducted by Jill Roberts of Dorland Arts Colony – includes a glass of wine! Thursday, May 9; 11:30a-2:30p. $58.00 per person, plus tax | $48 per person, plus tax. Includes lunch, a glass of wine, and a fabulous show with special show discounts and giveaways. “Friends & Wine” Concert Series, hosted by Ronnie Laws and performance by Diane Schuur, two-time Grammy Winner with repeat performances at The White House and Carnegie Hall. Sunday, May 12th; 4:30p Showtime. Limited winery tour, VIP Seating, Private Meet & Greet and wine reception with Diane Schurr and Ronnie Laws. $89 per person, plus tax | VIP Seating with glass of wine is $69 per person, plus tax. | Open seating is $49 per person, plus tax. A portion of the proceeds will support music therapy for students with autism and placement of musical instruments in local Temecula Valley schools. Reservations required by e-mailing reservations@leonesscellars.com or by calling 951-302-7601 ext. 150. Sunday, May 12. On Mother’s Day, Lorimar Winery will be offering a glass of Grenache sparkling wine, as well as a chocolate covered strawberry. There will also be a “Buy a bottle of wine for your Mom, because you are the reason she drinks” sale of 20% off all wine purchases. Call 951-694-6699 for more information. Sunday, May 12; Seating at 10:00a and 12:00p. $58.95 per person, adults | $48.95 per person, adult Wine Club members | $14.95 per person, children 3-12. Enjoy a gourmet brunch and toast Mom with Mimosas or champagne to say “thanks” for all that she does for you throughout the year. Includes unlimited champagne and a bottle of wine for each Mom. For reservations, call 951-491-6551. Sunday, May 5; 11:00a-4:00p– Family-friendly games, local vendors & services, silent auction, raffles & door prizes. Food & Beverages and Adult Wine Tasting. “Dexter’s Derby” Dachshund Races! Mount Palomar Winery, Event Pavilion. For more info – www.wienerfest.info. Sunday, May 12; 12:00p-5:00p. $59.95 adults, $22.95 children (under 5 free). Reservations required by calling 951-699-0099. • Complete your treatment with a skin-tastic 25-minute facial including anti-stress oil and a pressure point facial massage. Seal this delicious day with a chilled glass of sparkling wine and spa goodies to go. 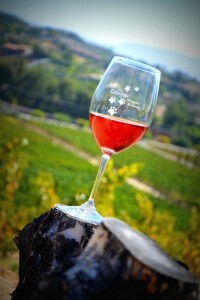 Visit www.WineResort.com for details or Call 951-587-9463. Book Now For Only $185 PP. (Original Price $240) Mention Code: Just Because… Spa reservations subject to availability and must be booked in advance. Expires May 30, 2013. Mothers Day in Wine Country: Brunch, Champagne, and much more! Mothers Day on Sunday May 13 is always a magnificent experience in Southern California’s wine country. With dozens of wineries and brunches to choose from, Mom will indeed feel like the most special gal in the world. 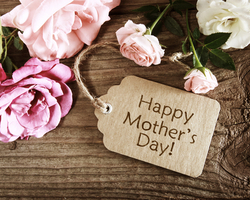 Please scroll down for all Mother’s Day happenings in Temecula Valley! Celebrate Mom with a gourmet brunch served with premium champagne and wines. Our international award-winning chef, Jorge Alvarado, presents a menu prepared with flavorful influences from around the world. Live entertainment will be provided by Robert Simon. Mom will receive a box of Port Chocolates and each adult reservation includes 2 glasses of champagne. Ticket prices are $42 per person/$37.80 per person for Wine Club members (plus tax and service charge). Enjoy an afternoon with friends and celebrate being a mom. Sip on sparkling Mimosas, Cranberry Coolers, Bellinis while shopping with our great vendors. Call 951- 676-4001 for reservations or visit us online at www.callawaywinery.com. Now accepting reservations for lunch and dinner Friday, May 11, Saturday, May 12 and Sunday, May 13. Chef Mike will be offering unique specials along with his new Spring inspired menu. Reservations are highly recommended. 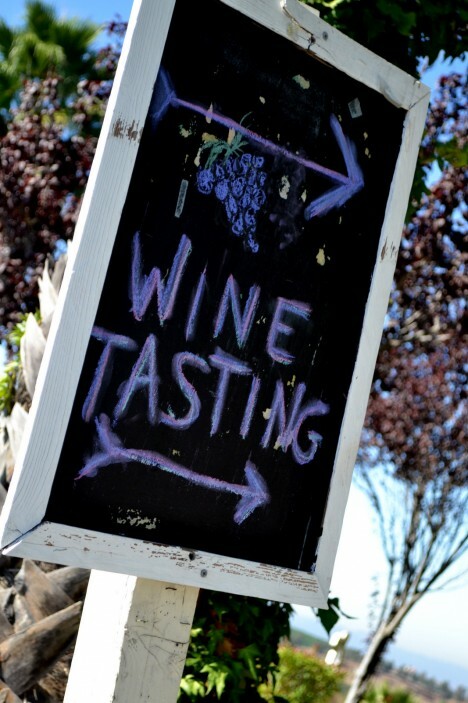 Call 951- 676-4001 for reservations or visit us online at www.callawaywinery.com. $70 per person; $63 per person for wine club members. All prices subject to tax and gratuity. This Mothers Day, treat Mom to a Brunch at Southern California’s Premier Winery. Enjoy a gourmet buffet brunch, live music, and a special treat for Mom while taking in breathtaking views of Temecula Valley. Releasing the 2010 Albarino and the 2011 Grenache Rose; Cabernet also for sale and moms get a free gift. All food will be prepared by their award winning Executive Chef Gianni Ciciliot and his excellent staff. Having been designated “Best Restaurant of the Inland Empire” five years in a row and “Best Chef” for 2009, 2010, & 2011 by Inland Empire magazine, this promises to be a spectacular and memorable event. This will be a special brunch menu served with Champagne along with other beverage options. Live entertainment. Lorimar Vineyards & Winery will be offering a complimentary Fruit Tart with French Sour Cherry and Custard, paired with Grenache Sparkling at our Wine Country Tasting Room on Anza Rd. and Chocolate Dipped Strawberries, paired with Sparkling Wine in our Old Town tasting room for every mom on Mothers Day! Mothers Day guest musician Carlos Reynosa, Native American Flutes 1-5pm and horse-drawn carriage rides from 1-3pm. For details, please visit the Longshadow Winery. All tickets are subject to tax. Gratuity is not included. Wine Club Members please use CLUB in the coupon code for your special price. Celebrate Mothers Day by joining us for our Mothers Day Brunch at Monte De Oro. Enjoy our gourmet brunch menu along with your favorite Monte De Oro wines and toast Mom with mimosas of a glass of champagne to say “thanks” for all that she does for your throughout the year. Reservations are required, seating is limited. Visit Monte de Oro for more details. Delicious brunch, sparkling wines, live music. Visit http://shop.pontewinery.com/dept-293832/Special-Event-Tickets.html for more information or to purchase tickets. Three seatings available: 10 a.m., 12:15 p.m. and 2:30 p.m. Two-hour maximum seating. Call 951-491-8077 today to make reservations. From chilled displays, salads, sliced fruit and berries, prime roast and omelets, to Chicken Marsala, oven- roasted sea bass, blueberry pancakes, smoked pork hash and desserts, our talented chefs have created a fantastic menu that mom will be talking about for years! Bring the whole family to the Vineyard Rose Restaurant—we also have a kids’ buffet menu. This Mothers Day and throughout May, reward your mom with the special attention she deserves at the GrapeSeed Spa. Pamper her with our exclusive Body Immersion Package, including a 50-minute warm stone full-body relaxation massage with rich emollients of May Cheng oil and body butter; a vanilla peppermint foot massage; a sugar- kissed hand treatment and rose facial, and a Moroccan Oil hair treatment. This unforgettable experience also includes a chilled glass of sparkling wine and spa products to take home. Available through May 30, 2012. For more information, call 866-944-6379, ext. 7280 or visit SouthCoastWinery.com/Spa today. Reservations required. Reserve your ticket here. Join us for a night of tasting and blending wine. Each ticket holder will have access to 4 different barrels of wine where you’ll get to taste, blend, experiment and create a treasured bottle to take home. 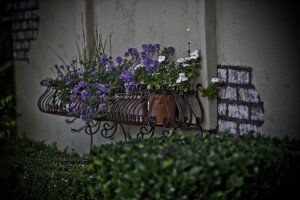 Posted in Events, Winery News | Comments Off on Mothers Day in Wine Country: Brunch, Champagne, and much more! Mother’s Day is just around the corner on Sunday, May 8! Bring Mom and the whole family out for a celebration among the vineyards. Specialty dining events are offered through our lovely wineries. Read below for details for the perfect Mother’s Day! Come spoil Mom at this gorgeous, open air wine country brunch! Hosted on the beautiful Upper Crushpad, Miramonte Winery promises to pull out all the stops. Stunning food and wine, live music, and each course presented by Miramonte’s Cane Vanderhoof. It promises to be a truly memorable Mother’s Day celebration. Please call Stephanie Ribaudo to make your reservations at (951) 506-5500 ext.105. Seating is limited. This Mother’s Day treat Mom to a unique brunch at Southern California’s Premier Winery. Enjoy a gourmet brunch along with Champagne and Mimosas, while enjoying the breathtaking views of Temecula Valley. Bring the kids! There will be a “Kids Buffet” just for them. Please call for (951) 491- 6551 reservations. Seating is limited! Take mom out for a nice picnic lunch at Oak Mountain Winery. Sit on the patio, listen to the music, and enjoy the views with a glass of our Raspberry Champagne! You have a choice of gourmet boxed lunches with choices of sandwiches that include Roast Turkey, Veggie Sandwich and Honey Baked Ham from the Sandwich Lunch Menu. The Specialty Boxes includes Tuna Salad, Chicken Salad and Grilled Chicken Sandwich Achiote from and the Wrap Lunch Menu has choices of Oven Roasted Turkey Breast, Cranberry Turkey Wrap and much more! All Deli Boxes are served with your choice of wrap or sandwich, seasonal fresh fruit, Chef’s side salad and dessert of the day and a glass of our Raspberry Champagne. To view the full menu, please visit Oak Mountain Winery. To order, please call (951) 699-9102 or email vandrews@oakmountainwinery.com. Bring the whole family out to Stuart Cellars Vineyards & Winery for an elegant Champagne Brunch in celebration of Mother’s Day! Enjoy this very special meal with the accompaniment of live entertainment. Reservations Required. 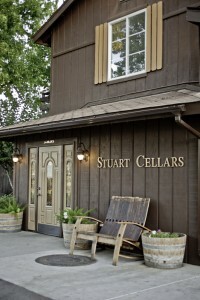 Please Contact Stuart Cellars Vineyards & Winery at (951) 676-6414.